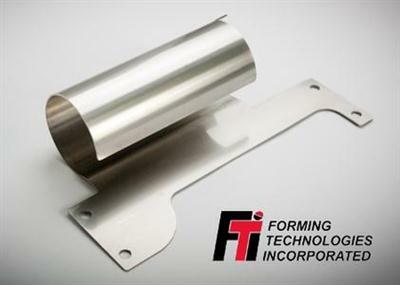 FTI, the industry's leading developer of solutions for design, simulation, planning and costing of sheet metal components, announced the worldwide release of FormingSuite 2017. This release which features two new solutions, ProcessPlanner (part and die costing) and FastIncremental (die prove-out). ProcessPlanner provides users with a quick and accurate method for blank development, coil nesting, trims and piercings, and recognizes part features to determine the correct operations within the tooling. This allows the software to accurately quote and provide full reports to customers, with tonnage, operations in each station and the press available to manufacture each project. This solution accurately targets customer needs by meeting target costs on all RFQs, and all within a 5-min. quoting process. The FastIncremental analysis solution-fully associative and regenerative to reduce downstream design changes-provides a detailed virtual die tryout for users with limited knowledge in the field. Users will experience significant savings in blank-development time.